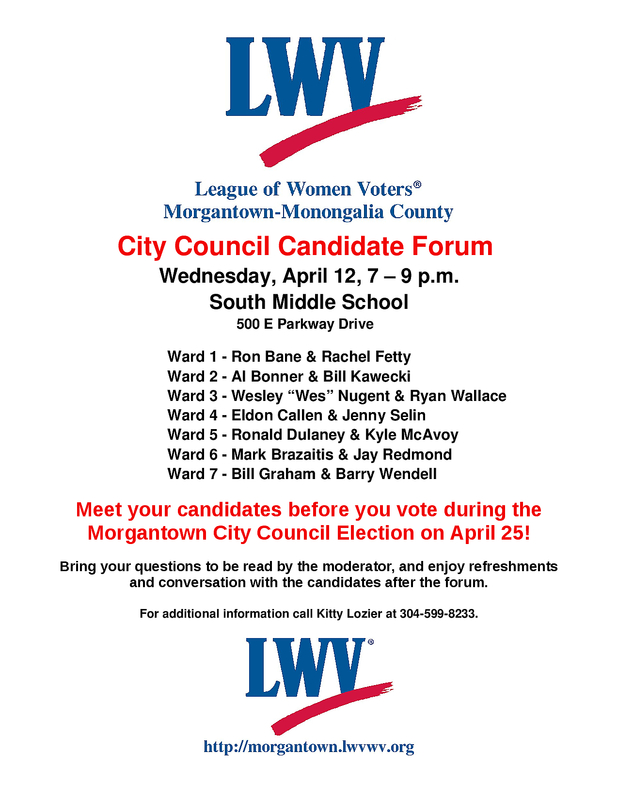 The Evansdale Neighborhood Association will hold a Candidates Forum on Monday, April 3 at 7 pm in room 414 at Evansdale Crossing on the WVU campus. We had a table at the Rally for Registration on March 21. We registered 5 brand new voters and made 5 address changes. The Green Team has invited the new City Manager, Paul Brake, to meet with the team for its next regular meeting, Tuesday, April 11th from 5:30pm-7:00pm. The meeting will be held at Downstream Strategies, 295 High Street. Topics sure to be discussed are the City-IAC energy efficiency report implementation, the RFP for a recycling/trash hauler, the team’s Five-Year Plan, and building a productive relationship with the new manager. CALL TO LWV STATE CONVENTION SATURDAY, MAY 6 10:30 a.m. to 3:00 p.m.
Parkersburg Comfort Suites YOU are invited to attend the Biennial Convention of the West Virginia League of Women Voters! The guest speaker will be Renate Pore, Interim Executive Director, WVAHC and Chair of the Medicaid Coalition. She will speak on the future of the ACA (Obamacare) in West Virginia. Rooms have been reserved for Friday night at the Comfort Suites for members traveling some distance. Please make your own reservation with the motel: 304-489-9600. Tell them you are with the League of Women Voters to get a discount rate. You are invited, in addition, to attend the state board meeting on Friday evening, May 5. League Membership Membership in the League is open to all persons (both men and women) over the age of 16. When you become a member of the Morgantown League, you are also a member of the LWV-US and the LWV-WV. Currently dues are $48 for an individual, $72 for a household (two at the same address), and $24 for students. Checks should be made to LWV Morgantown-Mon County and mailed to: Lyndell Millecchia, Treasurer, 476 Lawnview Drive, Morgantown, WV 26505. 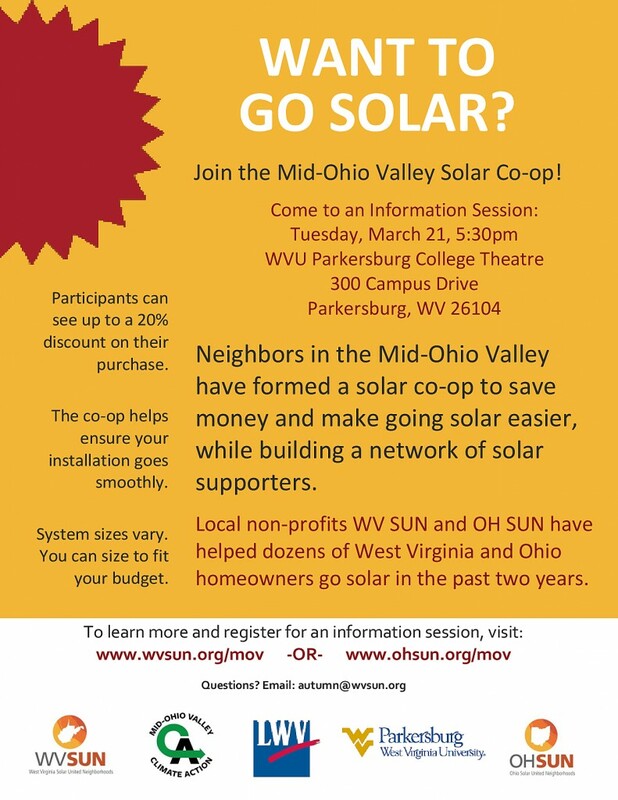 You can also pay with your credit card at http://tinyurl.com/paylwvmm or you may send money from your PayPal account to mmtreasury@lwvwv.org.